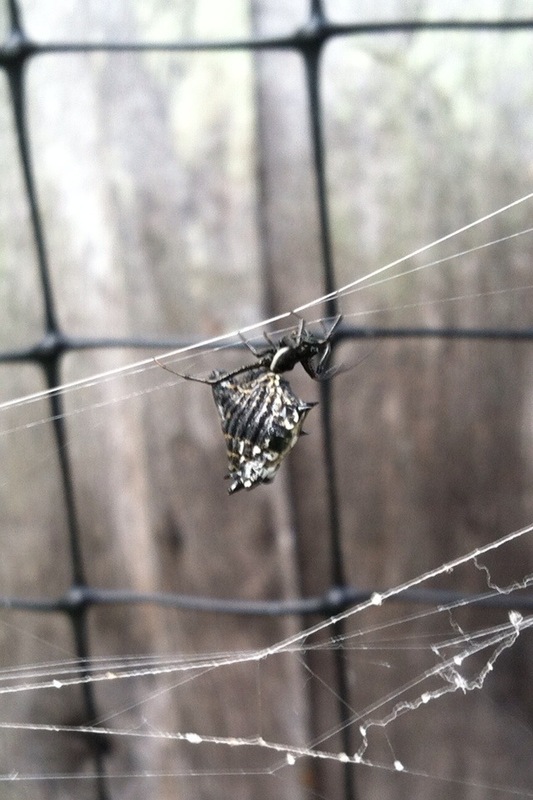 This spider is the weirdest one I’ve ever seen. Notice the shape and the spikes of and on its abdomen. It shimmied when it moved – awkward. So glad my face ran right into its web.